A series of failings by the NHS and police led to a psychiatric patient brutally murdering a grandmother, a report has concluded. Nicola Edgington almost decapitated Sally Hodkin, 58, with a butcher’s knife in Bexleyheath, south-east London, in 2011, six years after killing her own mother. On the day of the murder, Edgington repeatedly called police to beg for help and told A&E staff she needed to be sectioned and felt like killing someone. Although she was taken to Oxleas House mental health unit in Greenwich to be admitted, she was able to freely walk out of the unit to commit the crime. Now a damning report, commissioned by NHS England, has concluded that a series of mistakes contributed to the death of Hodkin. Her family said Oxleas NHS foundation trust, which runs the mental health services, must take the bulk of the blame for what happened. 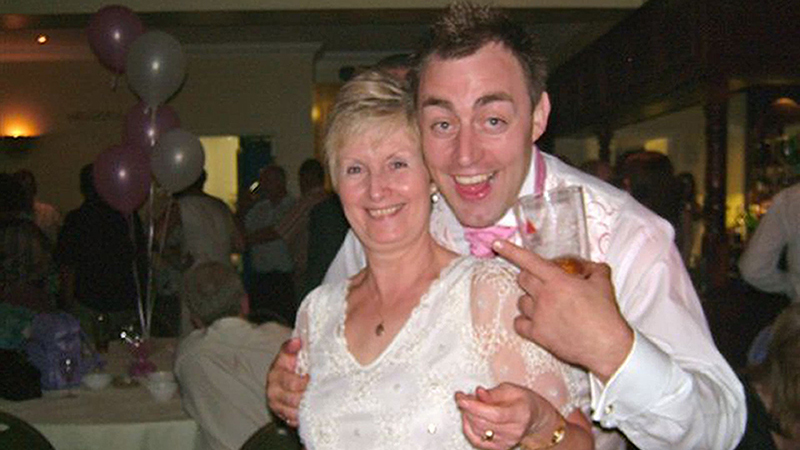 Her son, Len Hodkin, said his mother’s death was entirely preventable. 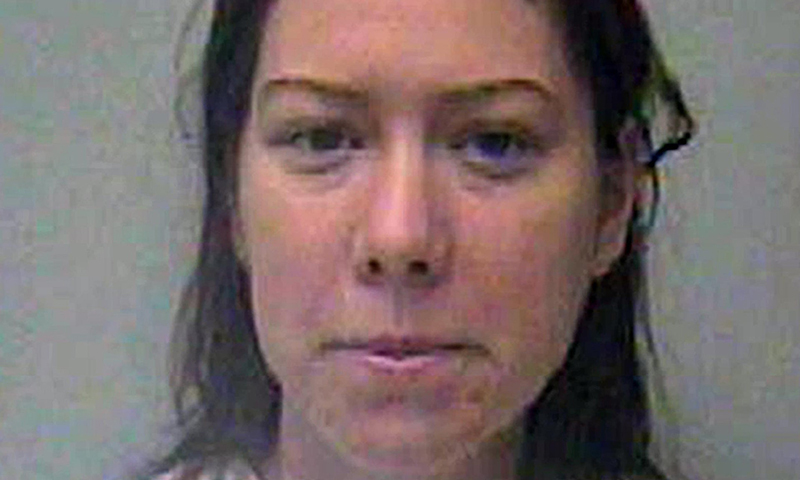 Edgington was convicted in 2006 of the manslaughter of her mother, Marion, and ordered to be detained indefinitely under the Mental Health Act. But staff at the Bracton Centre in Dartford, Kent, run by Oxleas, deemed her fit for discharge after three years and she was released in 2009 and allowed to live in the community. The report’s investigators said Bracton Centre staff were too willing to accept Edgington’s version of events and said documents failed to detail all the concerns about her behaviour before discharge. After she was freed, Edgington was moved to accommodation with low levels of supervision and was also allowed to visit her husband in Jamaica. The report said Oxleas staff failed to take seriously warnings made by her brother and sister that Edgington was still unwell and potentially dangerous. Edgington’s husband in Jamaica also told staff she was violent and had threatened him with a knife. The report said: “The care team were too ready to accept (Edgington’s) account of potentially worrying situations, and not enough weight was given to alternative accounts, or no attempt was made to get the views of family members involved. The report found that correspondence from the trust to the Ministry of Justice (MoJ), which approved the discharge, “did not fully reflect” concerns that had been raised about her disruptive, abusive and rude behaviour on the ward. It also did not document her denial of any memory of killing her mother and her “fixation on making fast progress to discharge”. Overall, “reports … did not accurately reflect disruptive and aggressive behaviours described in the clinical notes”. The MoJ also asked for details of any concerns during the Jamaica trip, which could have led to Edgington been readmitted to a mental health unit, but these were never handed over by the trust. Furthermore, the report said, when Edgington was discharged, Greenwich police should have been informed of her release but Oxleas failed to forward on the paperwork. On the day of the murder, when Edgington was at hospital waiting to be taken to Oxleas House, mental health staff missed an opportunity to give her the highest risk rating. She was put down for 15-minute observations – a level deemed inadequate by investigators, who thought she should have had one-to-one monitoring while waiting to be admitted to the unit. “This observation level assessment and the consequent poor follow-up within Oxleas House gave [her]the opportunity to leave Oxleas House without challenge,” it added. Two members of staff from Oxleas were later dismissed after giving inaccurate accounts of what happened as Edgington absconded on the day of the murder. They said she forcefully pushed through the unit’s doors and that they went out to search for her. But CCTV footage showed she had calmly walked out of the building and was not pursued by any member of staff. The report also questioned the full process by which Edgington was discharged after killing her mother, saying this was on the basis of a responsible clinician’s recommendation. But if an application had been made to the Mental Health Act tribunal instead, it would have meant “her stage of readiness and mental health would have been tested by a judge, independent consultant psychiatrist and lay member”. The report also pointed to missed opportunities by the police to section Edgington under the act on the day of the murder. It said officers and police staff also did not carry out a police national computer (PNC) check during their repeated interactions with her, which would have alerted them to her conviction for manslaughter. Several of Edgington’s 999 calls from the A&E department were also downgraded because she was considered to be in a place of safety and an officer was not asked to return, despite Edgington saying she could be very dangerous. Len Hodkin, 40, a solicitor from Eltham in south-east London, said Edgington should never have been released in the first place after killing her mother and should have been “recalled to hospital when her behaviour deteriorated”. “She killed her own mum in 2005. She was released after just three years back into the community,” he said. “This isn’t right and doesn’t sit right with us. The family has accepted an out-of-court settlement from Oxleas NHS foundation trust after filing for damages. In February, it emerged that the Metropolitan police had taken high court action to try to suppress publication of the report, describing it as “unlawful and irrational”.